When you imagine the bluest waters in the world, the first place your mind likely goes is to a tropical beach somewhere. But not so fast: Peyto Lake, located in Banff National Park amid Alberta's Canadian Rockies, is actually too cold for swimming. The lake, which is one of Canada's top tourist attractions, gets its color from glacial salts that flow down into it during the summer months. 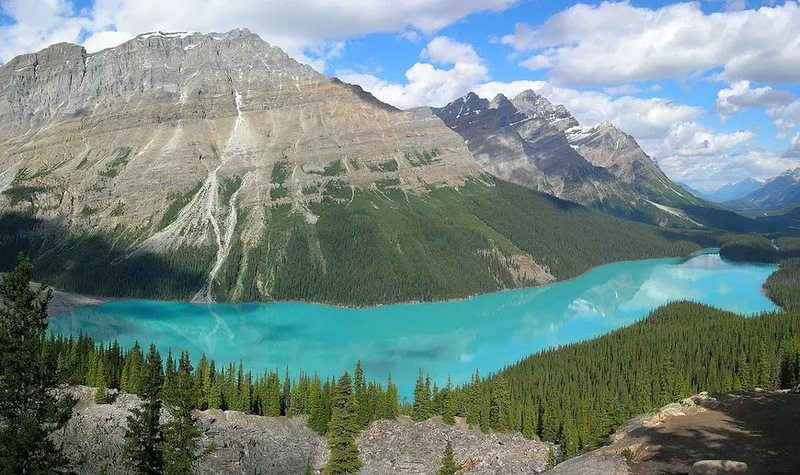 For a particularly stunning contrast, visit Petyo Lake during Alberta's frigid winter, whose bright white snow draws further attention to the aquamarine hues of the water. When it comes to Southeast Asia, Malaysia is usually not the first country that comes to mind when you think of amazing beaches. 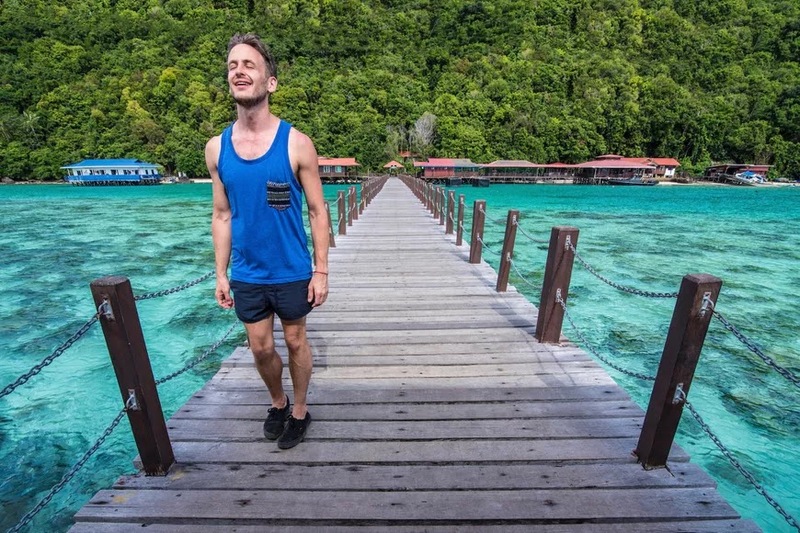 If you don't mind a long journey, however, you can see some of the bluest waters in the world just off the coast of Malaysian Borneo. Specifically, Bohey Dulang Island requires a flight to the small port of Tawau, a taxi to Semporna Port and a boat ride, in that order. To get the best perspective on the blue waters of Bohey Dulang, which result from a shallow crater left by an ancient volcano, you'll need to hike up an hour after your boat docks at the island's ranger station, but be warned: If there's been recent rain, you won't be allowed to hike the chronically muddy trail. Like Peyto Lake, Iceland's Blue Lagoon is about as far from tropical as you can get, but thankfully these supernaturally blue waters are perfectly equipped for swimming: They're part of a hot spring system, with a year-round temperature of around 100°F. Even better? 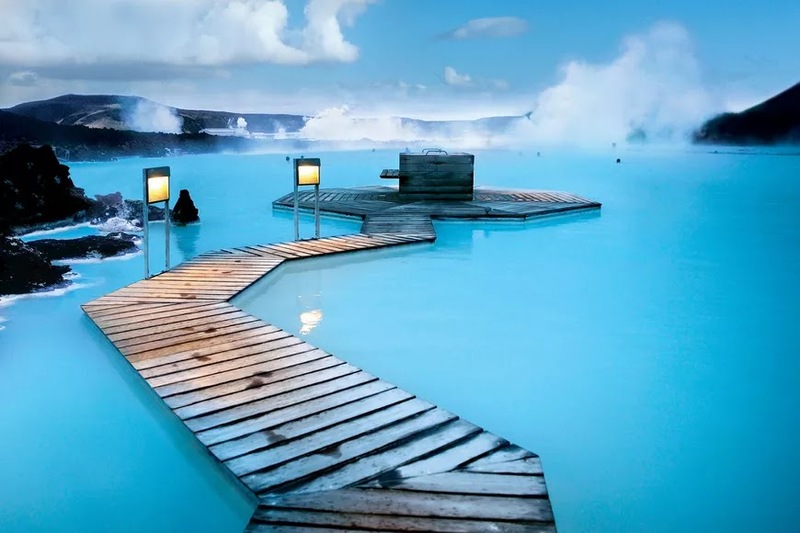 The Blue Lagoon is only a short drive from Keflavik International Airport, Iceland's main air gateway, which means you can theoretically take a dip in some of the world's bluest waters on a stopover, which is a pretty remarkable fact. On the other hand, the Blue Lagoon can get rather crowded, so if you happen to take a road trip through Iceland, you might want to experience its crazy blue waters from a different vantage point, such as Myvatn Nature Baths, in the north of the country not far from Akureyi. The story of Belize's Great Blue Hole is complicated, and requires a great deal of historical perspective. Specifically, about 150,000 years' worth! In fact, the hole has been formed gradually over the time, and features several concentric ledges, bottoming out somewhere around 400 feet beneath the surface. 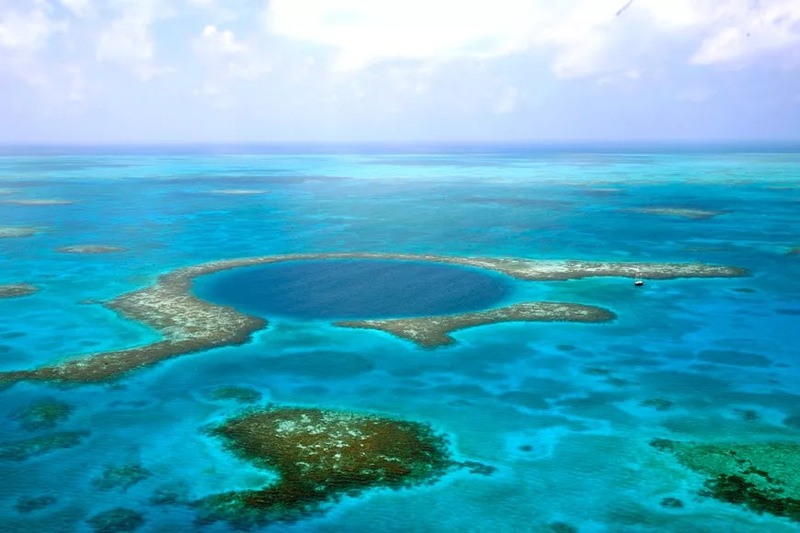 Of course, geology will be the last thing on your mind as you approach the Great Blue Hole, which sits about 45 miles off the coast of mainland Belize in the Lighthouse Reef Formation. 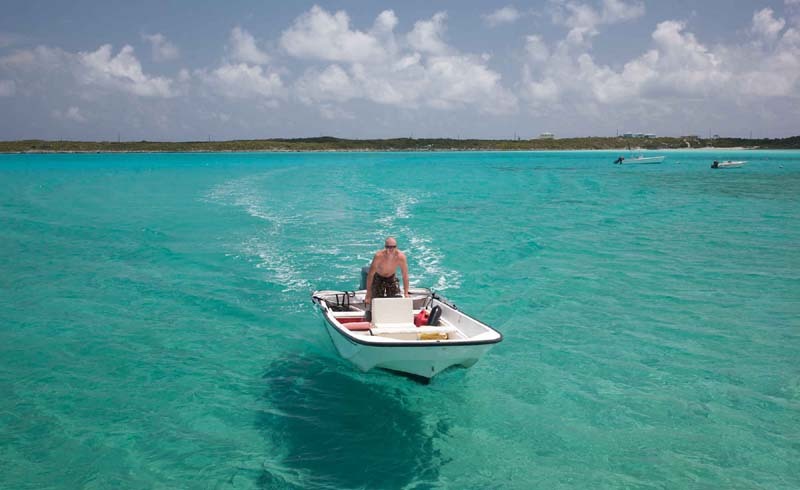 Instead, you'll be astounded by just how blue these waters are! Most people come to Lake Bled, Slovenia for one of two reasons. The first is to take a boat and paddle to the church on an island at the center of the lake. The second is to hike up to Bled Castle, which provides a panorama of the lake and church, as well as the Julian Alps behind it. What might not dawn on you until you reach the precipice is that the waters of Lake Bled are among the bluest in the world, a fact you'll probably also note if you cool off by jumping into them. As is the case with Petyo Lake, Lake Bled's coloration results in part from the fact that it's formed of glacier run-off. 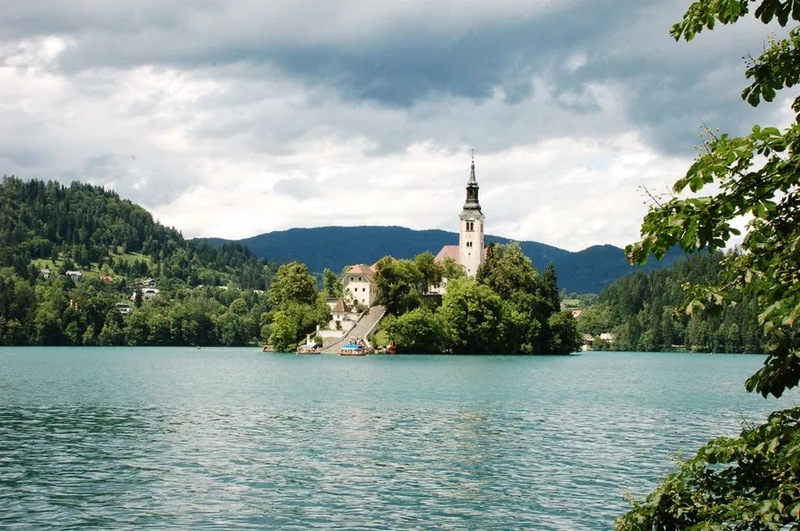 Lake Bled is just a few hours' bus ride from Ljubljana, Slovenia's charming capital, so a visit here is a no-brainer if you happen to be in the area! With all the negative press coverage about China, blue water (let alone clean water of any kind) is probably the last image that comes to mind in relation to the country. 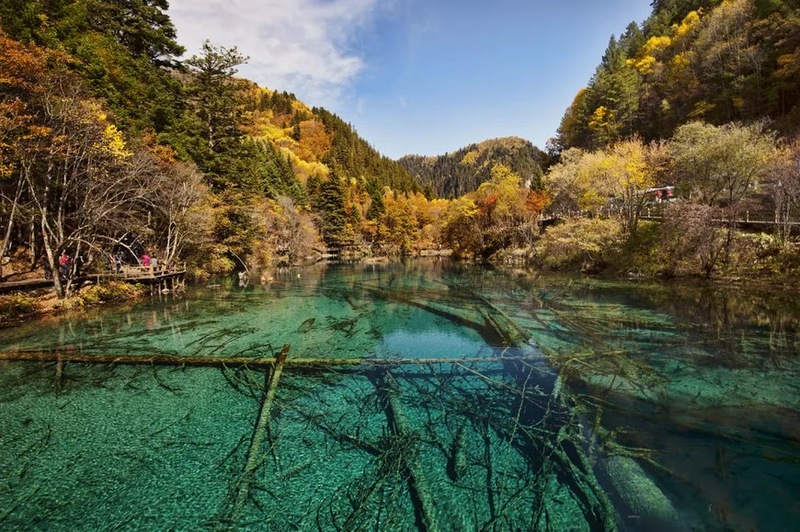 In fact, Jiuzhaigou National Park, located in western China's Sichuan province near the city of Chengdu, is home to some of the bluest waters in the world. Tip: To see these waters at their most magnificent, visit Jiuzhaigou during the autumn months, when the forest is exploding with fall shades. It will be too cold to swim or even put your foot in, but your pictures will be astounding, showcasing a rainbow of colors that's almost impossible to believe until you see it with your own eyes! Click here to check out more beautiful places in China. Africa is another part of the world's who unfairly bestowed reputation hides many amazing facts about it from the general public. 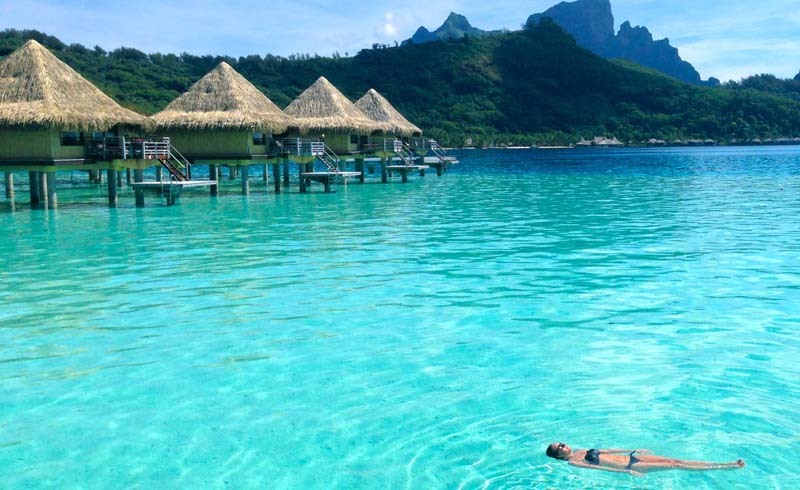 Which is just as well, in the case of Tanzania's Zanzibar Island: Can you imagine if throngs of tourists laid waste to this magnificently blue water? 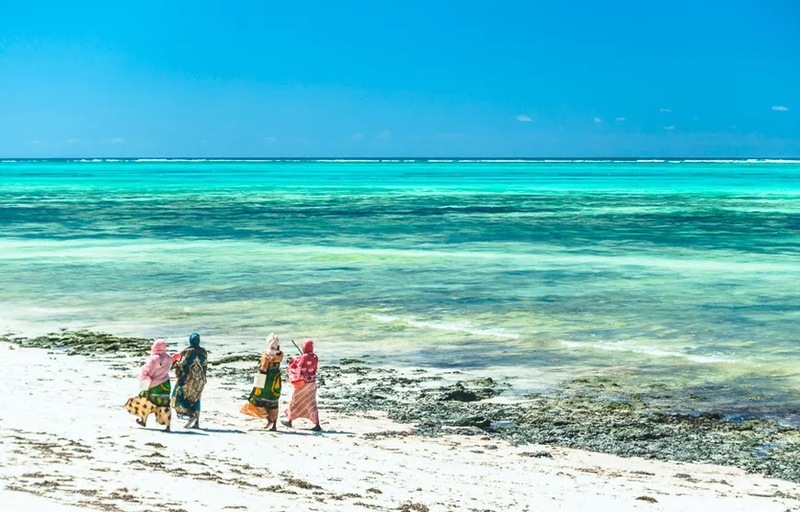 Of course, Zanzibar is much more than beautiful beaches, with a vibrant local culture, and a history that takes some surprising twists and turns. On the other hand, if simply taking a dip in beautiful, blue water is your top priority, Zanzibar certainly won't disappoint. 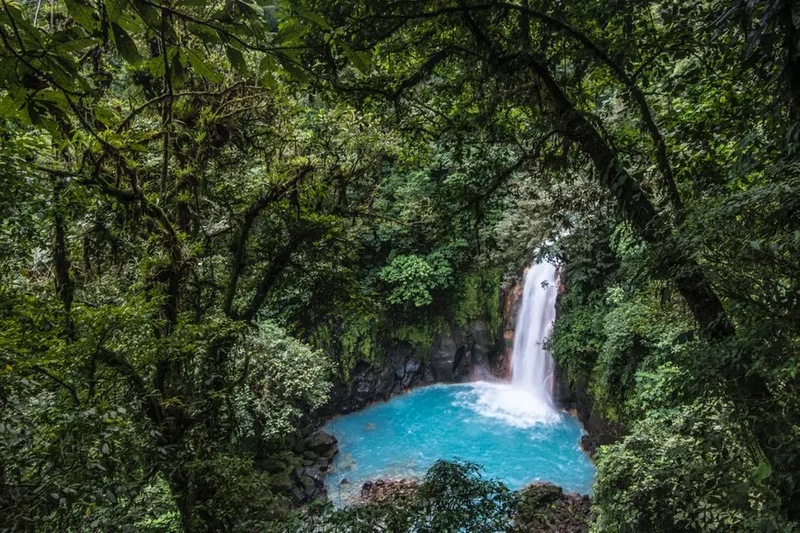 It's no secret that Costa Rica is one of the most beautiful countries in the world, if only for its diverse array of animal and plant life. A lesser-known fact about the land of "Pura Vida," however, is that it's home to some of the world's bluest waters. Specifically Rio Celeste, located in the mountains a few hours' drive from the tourist hub of Liberia. The waters of Rio Celeste, which forms a waterfall about an hour into the hike from the tourist parking lot, get their color due to minerals from a nearby volcano—you definitely can't swim here. But they're a veritable bath for your visual sense, their impossible blue gleaming even brighter in contrast to the emerald jungles that surround it on all sides.